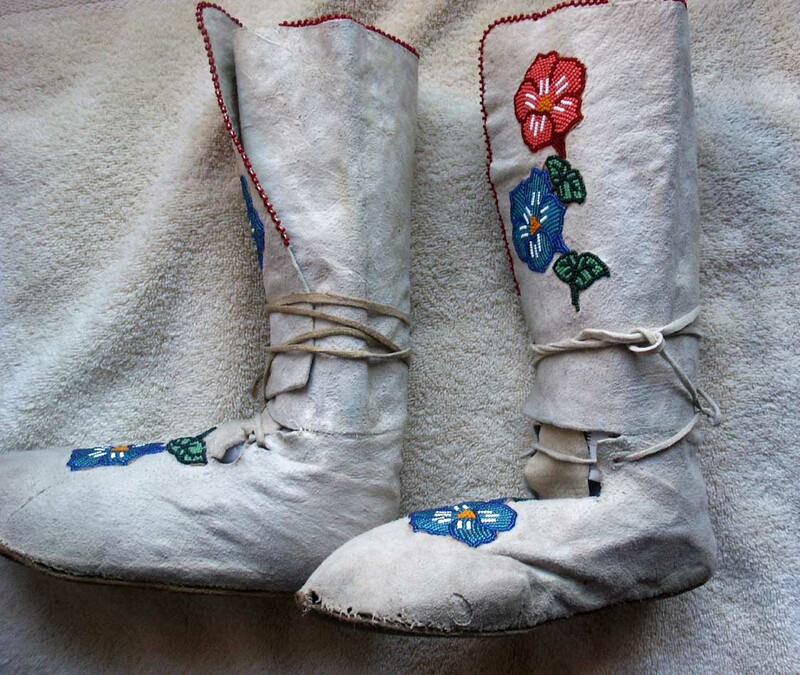 From the seller: Early 1900's Crow Woman's Hide Hide Top Beaded Moccasins collected near Crow Agency, Montana located on the Crow Indian Reservation. Length is 9 1/2" with intact ties. Hard Hide Soles showing lots of use (no holes). Sinew sewn. Beaded Floral design has Dark Red, Light Red, Light Green, Dark Green, Old Mustard Yellow, Dark Blue, Light Blue and White. Red Beaded Border on openings. 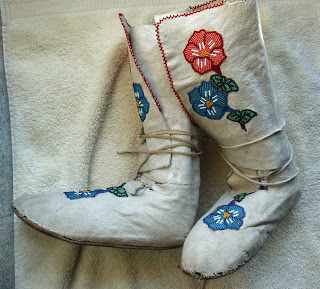 (also red beaded borders on the tongues). Bead work in good condition with no damaged or missing beads. (few missing beads on the border). 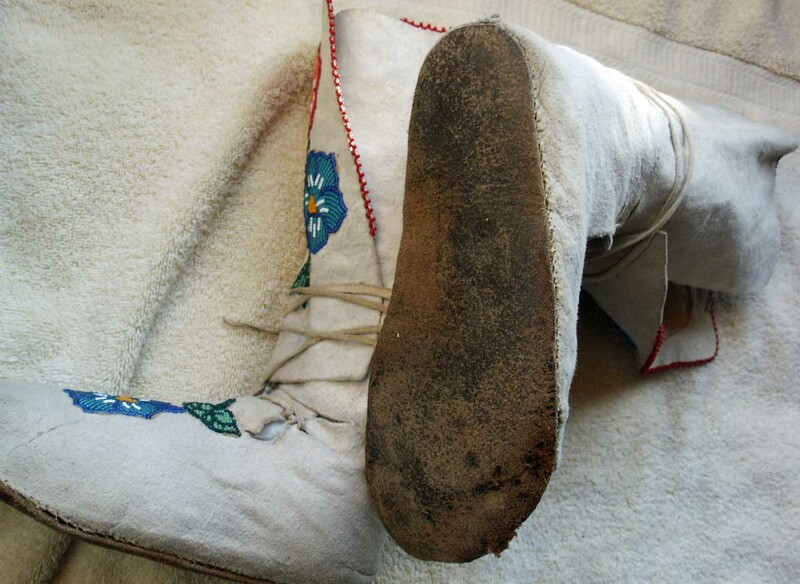 These moccasins were used and some broken sinew strands where the main hide attaches to the sole due to use. Small hole in the hide (1/2") near the sole on one of the moccasins . Just recently purchased this large collection and will be listing the various items in the next month. Collection was well cared for and contains some nice rare items. From Me: I love the beading on these. I'm think 1910's to 1920's based on the motif.